Highlights include views of the Harbour Bridge, the city skyline, Devonport’s historic naval base, Bean Rock Lighthouse and panoramic views of Rangitoto Island. Our crew will serve you with morning or afternoon tea (a hot drink and a muffin) throughout the duration of your cruise. 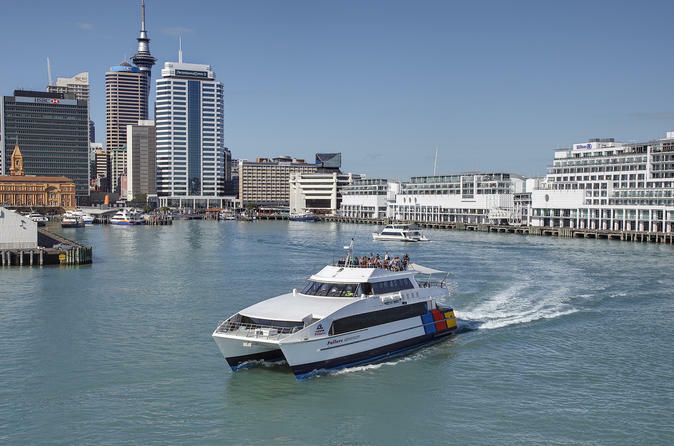 You can present either a paper or an electronic voucher for this activity.Cruise the sparkling waters of Auckland’s beautiful Waitemata Harbour and learn about the city&apos;s best-loved landmarks with full commentary from our knowledgeable crew.